Alida Fehily was born in Toronto, Canada, and at age 5 began questioning what life was all about, which formed a vital part of her destiny to query life’s big questions, “Why am I here?” and “What is life all about?” As a result, she transformed her own life/identity and moved to Melbourne, Australia, in 1970. 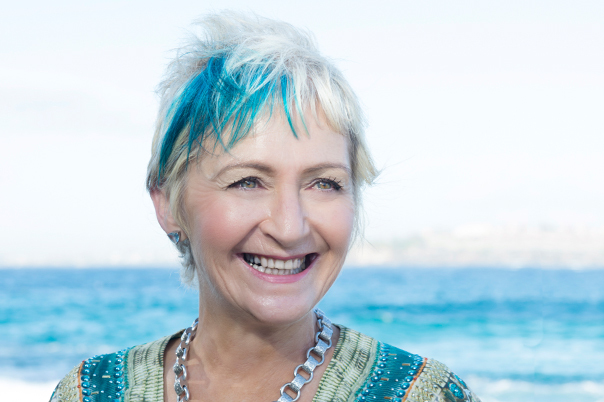 In 2005, Alida was awarded Psychic of the Year in Western Australia by the Australian Psychics Association. She went on to become a Demartini Method Trained Facilitator. Alida aligned with the Demartini method, renowned for “The Secret” success, providing resolutions to fear, anxiety, anger, low self-esteem and many more emotions that had held her back. Always searching, Alida has now developed her own ‘code to happiness’. As an Esoteric Chaperone™ she has formulated her winning philosophy into an assortment of publications to share with her audience. 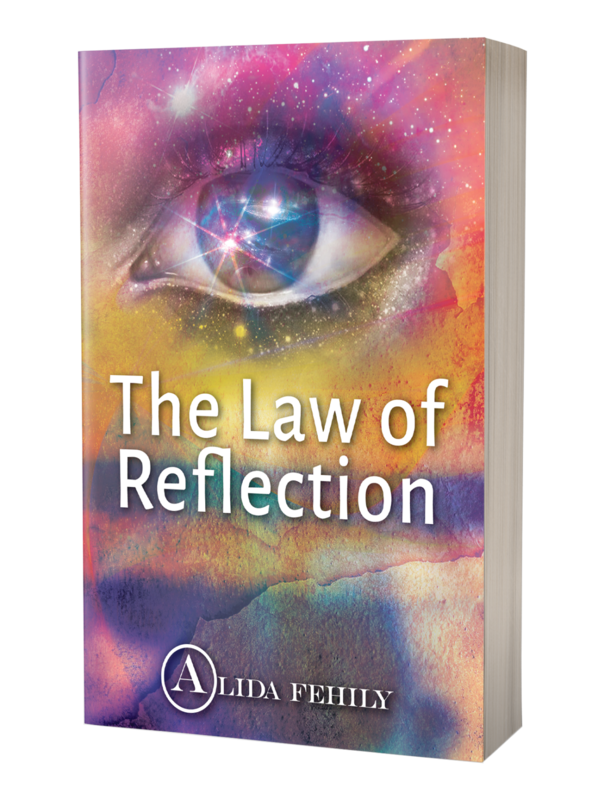 Armed with her powerful knowledge, Alida helps people manifest the lives of their dreams by helping them uncover the greater conscious awareness that exists within themselves. 67 New Ways to Find Answers – Fast! As life is so busy that an inspiring wisdom quote will take less than 30 seconds to read. I grew up being told that I would never amount to anything because I was no good. I held onto this belief and when I did excel at something I found a way to sabotage it. This would only once again reaffirm that I was not good at anything. I did a lot of soul searching trying to find out why “ME”. I made it a mission to find the answers to why I’m so bad, why don’t people like it, why do I always have trauma in my life, am I singled out for disaster. I can look back now and see as a 5-year-old child that there was an interest there with the universe. Through my journey of self-development and intuitive work, I found something that came easily to me. I knew I could be good at it. The work I do inspires me to a heightened level. My desire is to help people that have experienced emotional issues and how to break through it by not having to go down the long and hard road as myself. I would tell that emotionally/physically abused child that she is good enough and dearly loved. Take time to breakthrough your beliefs, judgements and learn the priority of values as this is your reality and this dictates your life. We all have over 4,600 human traits in all of us. The universe consists of love and loving all sides of traits. We judge people/events according to our own belief systems. And the problem is that our persona is the fragmented aspect of our consciousness. Personas only see one side to things. One way of doing things. Our personas are persistent in its beliefs and has to distinguish that it is one thing or another until it can dissolve the illusion by experiencing the truth on both sides. The reason we don’t see the hidden order – which is both negative and positive is that it’s hidden in our senses and our values filter it so that you can’t see both sides at the same time. The importance of knowing our true values is about getting clear on what we really want because our desires maybe completely different to what we’re doing. People ‘turn on’ to things that stimulate or interest them – things they feel their values support – and ‘turn off’ to things that don’t support their values. You find things interesting or boring, attractive or repellent, according to your values. And so you judge it and judgment is the glue that sticks – its the link to what is manifested in your reality. No values are right or wrong and so no one is right or wrong. We all see differently and should appreciate others for living their lives according to their own values. People judge according to their values. There is always fear, guilt, positive, negative etc in everything and it all serves. When you don’t understand values it consumes time and energy. Beliefs, judgments, and values are all intertwined so get your mindset clear and in order, as this will determine failure or success. Learning the marketing and business side. It’s always best for people to do what they are good at. Though as a sole trader and starting out with limited funds I found myself in a very foreign area. Having a creative mind and trying to learn this part of the business was very hard for me. It got so hard that I actually burnt out and took a break and got a normal job, a few times. It was so much more enticing to go to work and come home and relax. When you start a business there is no relaxing in the initial stages. I was consulting, writing, learning about money and how businesses run and then I had the marketing on top of that. I found the marketing is a full-time job in itself and new ideas are on the go consistently. I was continually researching to find out how to do things that I had no time to do what I loved which was my projects. It was like hitting my head against a brick wall. If you have the funds you can certainly pay someone to do it but you still need to know your business to oversee what someone else is doing. No matter which way I looked I had to learn it. My mind is so far on the other scale that when I research its like reading words that are from another planet. I’m certainly no expert in this area but I’ve had to work out a way to take it in slowly in order not to burn out through not understanding. The very first thing I do is coffee time! I then read my notes on my manifestations. Every day is basically the same only the times with change. My day is filled with consulting and coaching with clients. I sometimes take calls during the middle of the night for overseas clients. On occasion, I will go to a clients place. It’s really quite varied though my clients come first and I work around the bookings. I make sure that the 7 areas of life… Relationships, Financial, Spiritual, Social, Vocational, Mental and Physical are in balance. I fit in gym and Pilates. I like to do my meditating around lunch time. In between calls, I fill my time in with marketing, projects, researching and reading. I would definitely have put my attention on teaming up with a partner with the opposite skill set. Working as a team would have saved me enormous time, money, effort, and the list goes on. I’m still having to gather information on the marketing side. There is plenty on the internet to get valuable information but whose idea do you run with? What works for one person may not work for another. Its important to gather the information and choose wisely. It’s impossible to be great at everything. Do what you are great at and let others do what they are great at. You always have to remember that the universe works in divine order, perfection, and timing so everything is as its meant to be. A partner was not in order back then but I’m always open to opportunity and if its meant to be it still could happen. We go back into the 7 areas of life (Relationships, Financial, Vocational, Physical, Mental, Social and Spiritual) always need to be balanced. Each area does intertwine with each other. At this moment as values do consistently change I would have to say my most important area is Physical which includes body, mind & soul. I look at health and vitality which helps to dissolve emotional charges. The source of life – breathing, eating the right foods, health, vitality, and exercising. Your body is your vehicle and needs looking after. When you have an abundant of energy you become inspired and able to accomplish tasks. The power and limberness of your body are linked to the power and limberness of your mind. This is because the psyche (human soul, spirit or mind) and the soma (cell body) are interlinked. If you have a rigid mind you’ll have a rigid body. If you have a freed up mind you’ll have a freed up body. Your breath controls your body and your mind. When your mind wanders so will your breath. And when your breath wanders so will your mind. Being open to change in health and vitality will help dissolve emotional charges. We are all connected to the One Universal Source which is pure energy and pure unlimited potential. We all share that energy. Everything is created from energy. That’s why when you are fulfilling your true purpose your feeling of energy is endless. You can see how every area of life is interlinked so its hard to define what is the most important thing in life. This is where my thoughts are at this present moment and tomorrow I may have a different answer for you. It’s always perfect the way it is. I’ve had stops and starts, burnouts, doubts, fears and the list goes on. Confusion within my own mind arose when I looked at what others were achieving and this left questions again of whether I was good enough to do this. I had to really think as to whether this really is my true purpose! I had to ask myself profound questions. When you ask a question its because there is a lack of clarity. I had to bring myself back to the thought of do I love what I’m doing, am I inspired with what I am doing. And get back to the point of enjoying the journey of it as its not the destination. I was so focused on where I wanted to be rather than experiencing the moment of the NOW. I reassess my thinking process. There will always be challenge and support to exactly the same degree. So I go back to look at the pros and cons to gain clarity. This then encourages me with the ability to adapt to any situation. Sure not all creation is to your expectation but it certainly gives you a chance to view where your mind is and adjust your thinking. I’m very clear on that in each situation there is only one decision and it will always be the right one for whatever reason. There are no wrong decisions as its always a choice. Any situation can be changed by altering your perception on how you see it. By being grateful to have been given the opportunity of an experience opens your heart to unconditional love. This entry was posted in Author, Founder, Interview, Serial Entrepreneur and tagged author, founder, long time entrepreneur, serial entrepreneur.